Many travelers visiting Hong Kong end up also setting foot in Macau. It’s not surprising at all. Macau is fascinatingly vibrant and energetic. 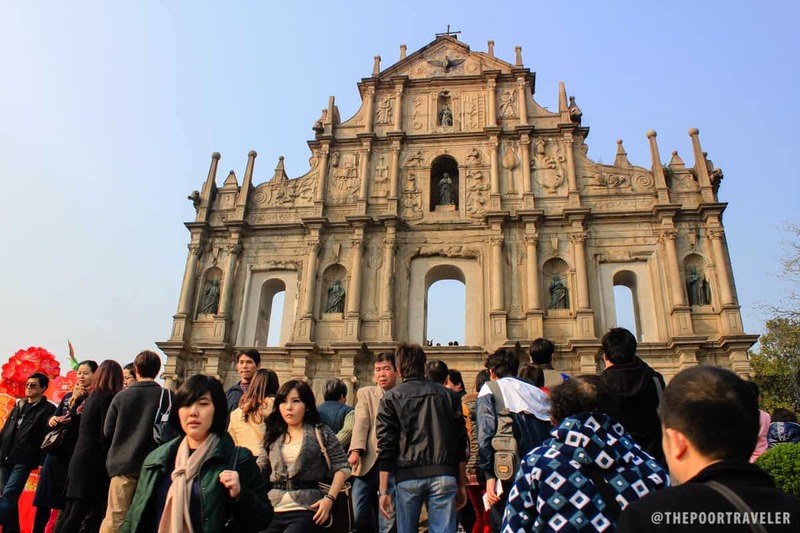 Although there are similarities, Macau offers a completely different experience from Hong Kong. It has its own currency, own diplomatic policy, and a unique history. But the biggest reason why Hong Kong and Macau are always in the same bundle: they’re easily accessible from each other, only around an hour apart by ferry. Some plan their trip with both cities in mind. In many cases, they book a flight to Hong Kong and a return flight from Macau, or the other way around. Some Hong Kong tourists prefer to visit Macau on a day tour. It’s totally possible! You can travel to Macau in the morning and be back in HK in the afternoon or evening. I’ve done this a couple of times! 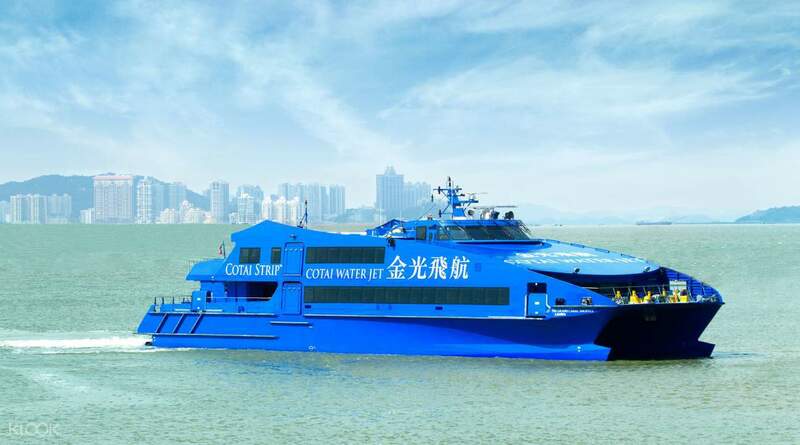 You have two options: by ferry or by shuttle bus via the newly opened Hong Kong–Zhuhai–Macau Bridge (HZMB). Which is better? The ferry still seems to be the better option. The HZMB’s Hong Kong end is in Lantau Island, which is far from the city center. Meanwhile, Macau and Hong Kong have two ferry terminals each, in two key locations. This means that there’s a big chance that a ferry terminal is closer to where you’re coming from than HZMB. 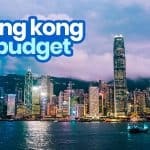 On the Hong Kong side, you’ll need to take a bus first and then the MTR to get to the city center. It can be problematic if you have heavy luggage in tow. 1. Choose your terminal in Hong Kong and Macau. Hong Kong has three terminals where you can board a ferry bound for Macau. One is located in Hong Kong Island, another in Kowloon, and one just next to the Hong Kong International Airport. Hong Kong MACAU Ferry Terminal along Connaught Road Central, Sheung Wan area in Hong Kong Island. Hong Kong CHINA Ferry Terminal along Canton Road, Tsim Sha Tsui, Kowloon. Sky Pier at Hong Kong International Airport. Exclusive to tourists only. Note the difference between the first two options. The one located in Kowloon (Tsim Sha Tsui) is called Hong Kong CHINA Ferry Terminal. Pick one that is most convenient to you. If you have a roundtrip Hong Kong ticket and you want to visit Macau straight away, the Sky Pier makes the most sense. 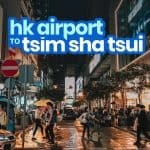 If you’re coming from Tsim Sha Tsui, the Hong Kong CHINA Ferry Terminal is just around the corner. Macau Outer Harbour Ferry Terminal, located in Macau Peninsula. This is closer to the city center. Taipa Terminal, sometimes called Cotai Terminal, just a short walk from Macau International Airport. These are completely difference terminals and a bit far from each other, so make sure you book the right one. You can buy tickets at the terminal itself. Often, the fares do not differ much from each other. Even the travel experience is very similar. For me, it’s just a matter of travel time. I usually buy the ticket for the ferry that is leaving at my preferred time, regardless of the operator or boat. 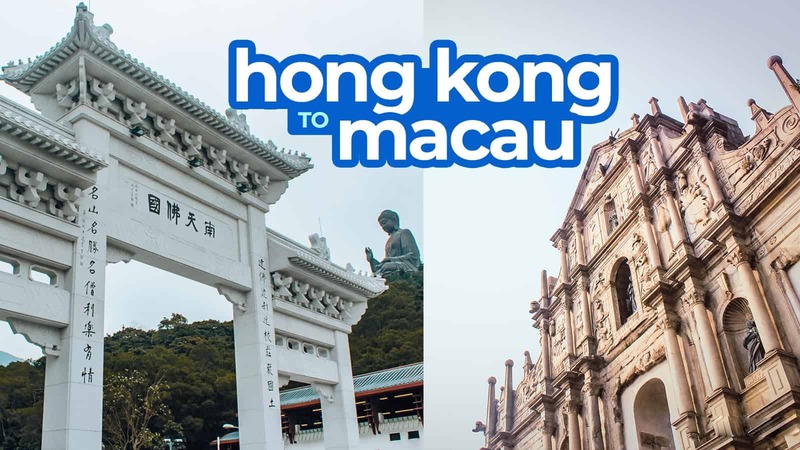 Hong Kong/Kowloon to Macau: HKD 160 to 172 (in daytime) and up to HKD 211 (at night), one-way. 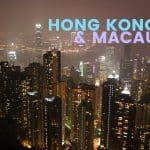 Hong Kong Airport to Macau: HKD 270 (day), HKD 300 (night), one way. But you want to score some discounts, you can book in advance online visa Klook! 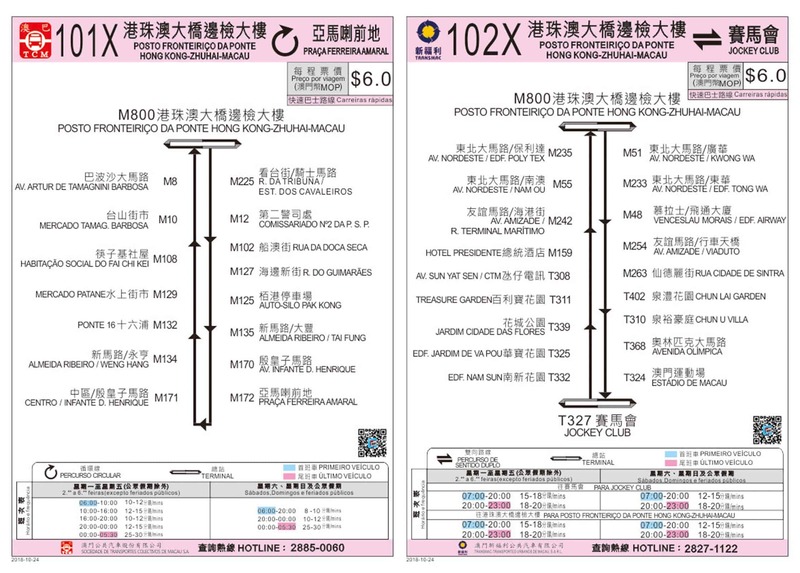 For example, the regular one-way TurboJet fare from Hong Kong city center is somewhere between HKD 170 and 200. But with Klook, it’s only at HKD 165. From the airport, the regular one-way TurboJet fare is HKD 270. But with Klook, it’s only at HKD 263. You can save even more if you purchase roundtrip tickets at once. The boarding process is pretty straightforward. After getting a ticket, follow the signs to the boarding area. Usually, there are staff members that can point you in the right direction. If necessary, check in your bags. For hand-carry, only one piece per person is allowed. I remember, however, that they let me through with a small backpack and a suitcase. I asked but they said I didn’t need to check in anything. Not sure if small backpacks are counted as an item or I just got lucky. Each passenger is allowed only one carry-on (hand-carry) bag. Each passenger is allowed 3 pieces of luggage for check in. You’re gonna have to go through the Immigration counters, too. Make sure you have your passport and the details usually needed in the arrival form including the boat name and number and your address in Hong Kong. Queuing at the Immigration can take some time especially at peak hours. Make sure you consider that when planning your trip. When it’s time to board, find your seat. Your ticket has an assigned seat number. The journey usually lasts 55 minutes for Macau-Hong Kong city center. 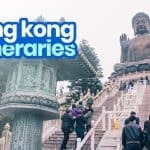 But if you want to be more comfortable, there are day tours being offered in Hong Kong. They will take care of everything, from ferry tickets to your sightseeing in Macau to a sumptuous lunch at a 4-star hotel. If you’re interested in that, you can book below. Most seats have overhead compartments for bags and suitcases. Most, not all. I once had to hold my big bag on my lap all the way through. If you suffer from sea sickness, take your meds before sailing. The current can be wild at times. I have seen passengers puking their guts out on the aisle floor a couple of times. It’s messy. You don’t want to be that passenger. Check your seat number upon purchase. If you’re a group, even when you book the trip together, your seats may be super far from each other. This is probably a result of trying to fill the last remaining seats on the boat. I once traveled with my mom, who is an elderly, and a cousin, who was a first-time traveler. We booked together but we were assigned seats on completely separate aisles. I was so nervous that I would lose my senior mom and clueless cousin. We ended up waiting for everyone else to go disembark first before reuniting and getting out of the ferry together. If you’re arriving at Taipa Ferry Terminal, here’s how to get to the city center. By Free Hotel Shuttle. At the terminal, you can board any of the free shuttles provided by hotels to get to the city center. You don’t need to have a reservation at that hotel to be let in. Even if you have no plan on staying there, you can get on. Just pick the hotel closest to your destination. By Taxi. The flagdown rate is MOP 19 + MOP 2 for every 240 meters or every minute it’s not in motion. Additional MOP 3 charge for each piece of baggage in the compartment. The usual fare from the airport to the city center is MOP 70-90, depending on which part of the city you’re going. By Public Bus. I haven’t tried this personally. I always used the free shuttle bus. LOL. And taxi once. I have no information about this yet. You can also take the bus to get to Macau from Hong Kong via the newly opened Hong Kong–Zhuhai–Macau Bridge (HZMB). 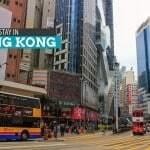 If your hotel is in Central Hong Kong or Tsim Sha Tsui (Kowloon) areas, I still recommend the tried and tested ferries because the ports are much closer. Taking the shuttle bus via sea bridge means you have to go to Lantau Island first, which means you need to take the MTR and another bus. That can be problematic if you have heavy luggage in tow. But if you really want to experience the sea bridge, here’s how. Take the MTR to Sunny Bay Station. Board B5 Bus to HZMB in Lantau Island. Fare: HK$ 5.8. Go through Immigration and Customs inspection. Ride shuttle bus to Macau. The ticket office is within the restricted area, after the Immigration. Fare: HK$ 65 (regular times), HK$70 (midnight to 5-59am). You can take either 101X Bus or 102X Bus, depending on the location of your hotel. Fare is MOP6. Here are the stops. Click to enlarge. 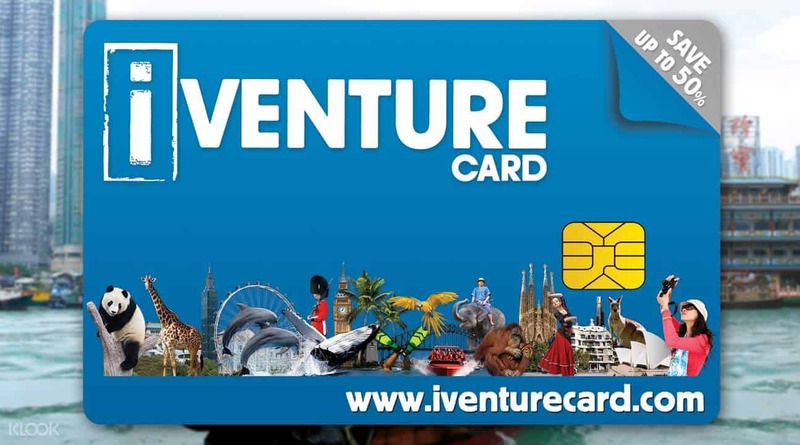 If your Hong Kong-Macau itinerary is packed, you might want to take advantage of the iVenture Card! There are more attractions and establishments covered! Hello Sir! Thanks for this very informative article! I just wanna ask if you’ve already tried going to Macau then to Hong Kong by ferry then back to Macau. I’m planning our family trip and our tickets are Macau-Manila and vice-versa only. Do you have an idea if this is okay, esp. with the immigration. Thanks alot! Hi Nadine, yes, this is fine. I’ve done this before. 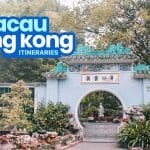 We flew to Macau from Manila then went to Hong Kong by ferry on the same day. Our flight back to Manila was also from Macau. Naka-seat sale kasi kami sa Macau nun, hahaha. But yes, this is okay. No problem. Ilang oras po kaya ang byahe pag by bus? Hi Mean, 45 minutes, according to news sites. Hello po! Hong kong po entry ko and flight back ko to manila is from Macau. I’m planning to stay in Macau for a night before my departure and sa apartment ng pinsan ko po plano ko mag stay.. Okay lng po kaya yun sa Hong Kong CHINA Ferry Terminal immigration? Or kelangan ko po talaga mag book ng hotel? Hi Gel, ang alam ko ok lang yun. Just make sure you have the full address and contact number. If ang plan mo is HK tapos Macau, I think hindi concern ng HK kung saan ka magse-stay sa Macau. Mas concern un ng Macau immigration. So just make sure na may hotel ka sa HK and may full address ka sa Macau if sa pinsan mo ikaw mag-stay. Do you happen to know kung san ang bus terminal from macau to HK by bus? That’s ok. We’ve done that a few times. 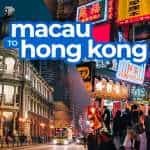 Ano schedule ng bus from HK to Macau and vice versa? Hello ask ko lng if okie lng mg travel frm hongkong to macau visit lng ako?my mga need pabang docs. Or hahanapin ang imig.ng macau just for one day? Hi Erwin, what do you mean mag-visit ka lang? Are you visiting someone or for tourism? Ang alam ko, okay lang naman magvisit ng Hong Kong kahit day trip lang as long as you have proof na magtu-tour ka lang, may hotel reservation ka kahit sa Macau lang basta covered yung travel date, or may ticket ka pabalik. Maraming salamat po sa information. Malaking tulong po sa akin sa pag plan ng big trip with family. Okay lang ba na one way ang ticket (with Cotai) na bibilhin namin (were a group of 11) kasi we prefer to go Taipa in the morning first. Then afternoon gala sa Macau. Then on our return to Hong Kong (with Turbo Jet) so we could save time. Would it be better to rent a van for the day in Macau? Hi Rexiel, I think okay lang na one-way kasi parating one-way lang ang binibili ko since di ko alam pa what time ako matatapos mag-tour and ayoko magmadali. Never naman ako nagkaproblem. How big is your group? Usually, di naman kailangan mag-rent. Take advantage na lang of the FREE casino/hotel shuttles! Hello po,first time ko pong magtravel with friend. Dalawa lang po kami medyo kinakabahan lang po ako sa immigration mas mabilis po ba ang process if tour ka lang tlga? Ano pong tips niyo for first timer traveler? ?